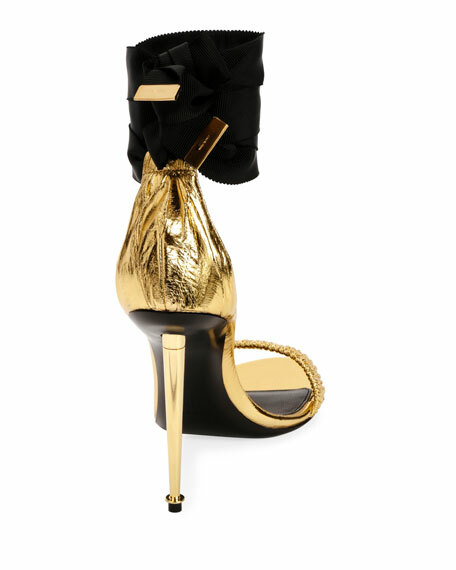 TOM FORD metallic patent leather sandal. Eel stretch strap bands open toe. For in-store inquiries, use sku #2317218.